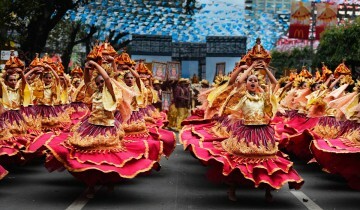 Sinulog organizers say the visit by Pope Francis next week will impact Sinulog attendance. Those in Luzon or Leyte would likely attend papal visit activities rather than fly to Cebu for the Sinulog. Cebu City Mayor Michael Rama and some local government and church officials, however, still talk up hopes for the pope to swing by Cebu. Meanwhile, another public official has been shot dead in an ambush. Here are the top stories in Cebu’s papers today, January 7, 2015. Sinulog organizers expect fewer people to attend Sinulog activities because of Pope Francis’ visit to Manila and Tacloban starting next week. On top of the papal visit, many flights have been cancelled because Manila has been declared a no-fly zone at certain hours when Pop Francis will arrive on January 15 and leave on January 19. “Affected gyud ang Sinulog ani (in terms of number of people) because they are torn between two big events… Those from Luzon, Manila and Leyte might decide to attend the Pope’s activities instead,” — Sinulog Foundation Inc. Executive Director Ricky Ballesteros during the Association of Government Information Officers forum. Ballesteros said that as of January 6, 36 contingents have confirmed joining the grand parade. They expect the number to increase to 45 next week, more than last year’s 42 contingents. Ballesteros said the history of Cebu will be told in the grand finale performance. Cebu City Mayor Michael Rama said he still hopes Pope Francis will visit Cebu, which he repeatedly pointed out as the cradle of Christianity in the Philippines. The city is also “very near” Tacloban City, which the pope will visit. A barangay captain of Toledo City was shot dead Tuesday at 9:30 a.m. while driving his Ford Everest SUV on the national highway after dropping off his children at school. Timoteo Largo, 65, died in a ditch where he was gunned down allegedly by Dionesio Juarez. Largo is the barangay captain of Cambang-ug, Toledo City. Juarez, on the other hand, was identified as a member of Civil Service Unit (CSU) of the Toledo City Hall and a police asset. Toledo City Police Chief Ricky Delelis told Sun.Star Cebu they are considering 2 motives for the attack: 1) Largo’s refusal to accept illegal drugs payment and 2) Largo’s refusal to allow Juarez to be part of the sand and gravel business in the barangay. “Istoryahan nato ni, pre (Let’s talk about this).” Timoteo Largo to Dionesio Juarez shortly before the killing. DSWD 7 Assistant Director Shailane Marie Lucero said they offered to supply relief goods to Ronda before Tropical Storm Seniang made landfall but Ronda Mayor Mariano Blanco III wanted these only after the storm. Cebu Daily News: Traffic agony is back! Local retailers are asking for “special non-discriminatory locations” and special rates for businesses located in Mandaue and Cebu Cities. Philippine Retailers Association (PRA) – Cebu Chapter president Robert Go said this would help local retailers reeling from the challenges of the dominance by global brands of the market. “Many of our home grown retailers are helpless and have nowhere to go, either deteriorating or are running out of business, being too dependent on malls,” — Robert Go. Cebu Provincial Government tourism consultant Patria Aurora Roa has reported strong demand for the “Suroy-Suroy sa Sugbo” program for the southern part of the province. She said the southern leg will have new destinations such as the Aguinid Falls in Samboan and Mainit Spring in Malabuyoc.